Heavy Metal Wrestling is stoked to announce that we’ll be taking part in some of the First Friday festivities! Join us at HI-TONES on the St. Mary’s Strip! 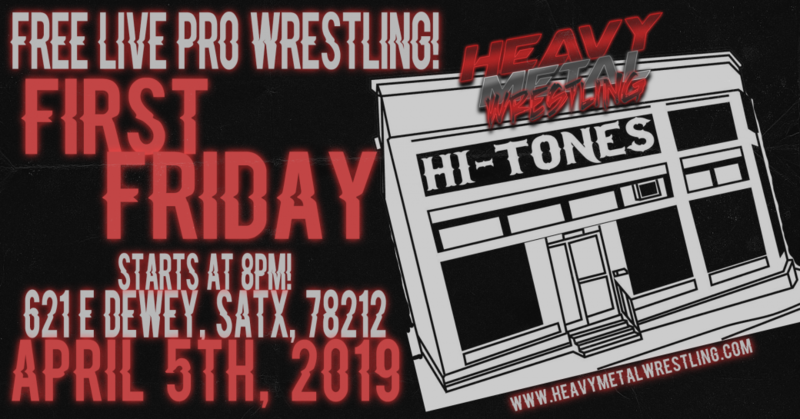 We’ll be kicking off the action at 8PM so make sure you swing by Hi-Tones located at 621 E Dewey, SATX, 78212! Join us when all the athletes of Heavy Metal Wrestling take over one of San Antonio’s most popular bars for a FREE event! “HIGH AND DRY” announced to take place on 4/20 in San Antonio!